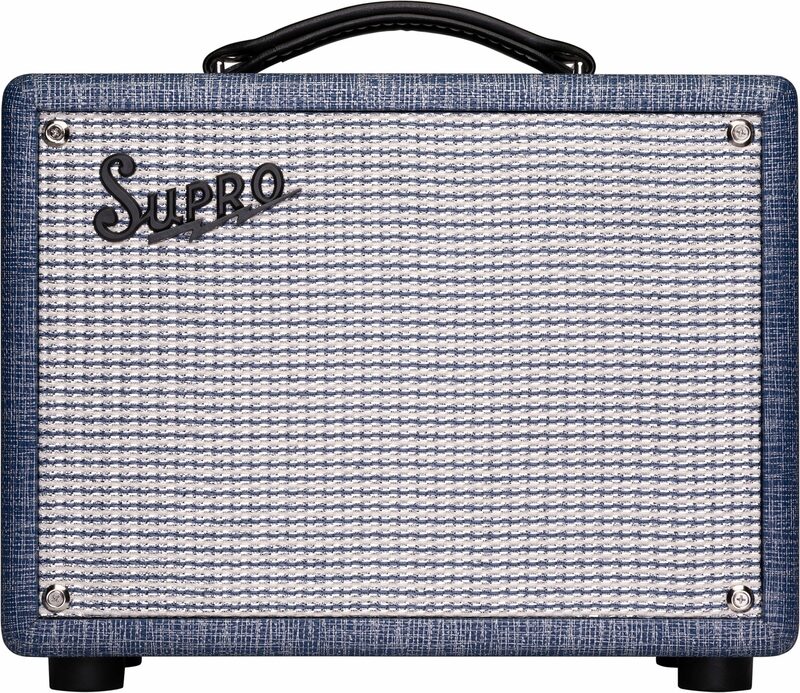 The Supro 1606 Super is a reissue of the iconic 1x8 combo amp made by Supro in the early 60s. With a single volume knob--and nothing else--the Supro Super lets you hear the full tonal range of the tube preamp found in vintage Supro amplifiers. The purposeful absence of EQ controls in this amp's original design eliminates the passive components that inevitably weigh down the raw power coming from the preamp when a tone knob is included in the circuit. The no-frills, high-gain preamp found in the Supro Super feeds directly into a Class A, 6V6-equipped, single-ended, 5-Watt power amp that dates to the company's pre-war origins as one of the first American tube amp manufacturers. The pristine, high-gain audio path of the Supro Super has made it a favorite of recording artists and guitar-lovers around the world, as well as one of the most popular vintage Supro items on the used market. 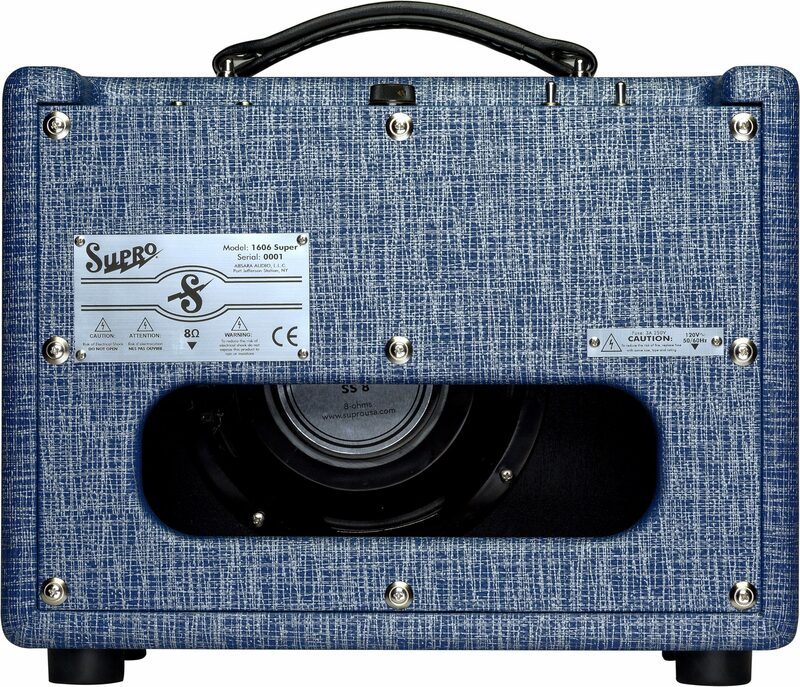 The image of a mic'd up vintage Supro 1606 Super amp is featured prominently in the liner notes of the 2016 Rolling Stones album, Blue and Lonesome, revealed as the CD is lifted from the jewel case. 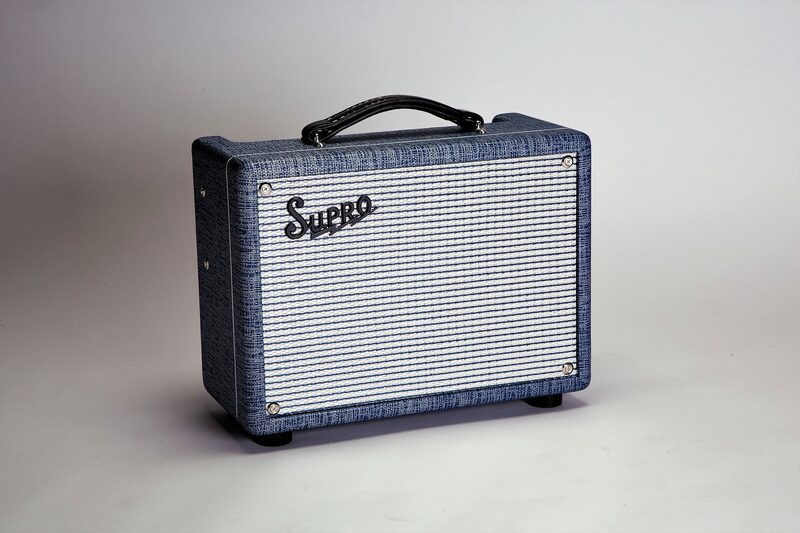 The voicing of this USA-assembled reissue of the Supro Super amplifier was meticulously derived from a vintage example loaned to Supro USA by Aerosmith guitarist Joe Perry. To capture the sound of the vintage Jensen speaker found in the original Supro amps of the early 1960s, the 1606 Super features a custom-made 8" speaker that was designed by Eminence and Supro USA with help from Iowa State University, where we were able to laser scan and recreate the speaker cone from a "golden sample" of our favorite vintage Jensen speaker.